Legendary families often can prove troublesome. That’s what Richard Hite found out when he confronted his family genealogy as a presumed descendant of Hans Jost Heydt, well-known to the Jesse James family as the progenitor of their cousins, Wood & Tuck Hite, and the Hite brothers’ father, George Burns Hite, who married the outlaw brothers’ aunt, Nancy Gardner James. 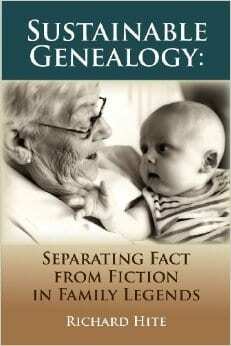 The unique subtitle of Richard’s book Sustainable Genealogy reads as: “Separating Fact from Fiction in Family Legends.” Legendary families come with all the baggage possessed by families not so famous. Every family is burdened with family lore, genealogy, and stories that should be scrutinized by every generation, especially if one’s intention is to produce an exact and true genealogy of family history. The information handed down by one’s own family may not be correct. The Jesse James family certainly has wrestled with this problem for over 130 years. Genealogy today is big business. The marketing of genealogical services tricks novices and professionals alike into believing one’s family genealogy will be produced with a simple subscription and a few clicks of a computer keyboard. That’s a deception. 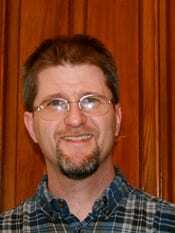 Many times commercial genealogy is as riddled with errors as one’s own family lore. Likewise, the genealogy one buys needs as much scrutiny and correction as the genealogy one inherits. As an archivist for the Rhode Island State Archives, Richard Hite wasn’t going to fall into that trap. Like every serious genealogist, Hite knew that due diligence is the only means for achieving bullet proof results. In Hite’s experience, Hite quickly grasped that every exciting discovery leads to more discoveries that are just as exciting. And every disappointing error, that is proved to be error, raises the possibility of other wrong information that needs to be investigated, studied, and not overlooked. Along Richard Hite’s path of discovery, Hite developed an extraordinary bag of tricks for verifying inaccurate information, that he now shares in his book. For each commonly encountered problem, Hite offers his unique solution. For uncommon problems, Hite offers uncommon solutions. Hite’s skills could become the envy of any private investigator. Genealogists will continue to use this book as a reference source when confronted by difficult brick walls.